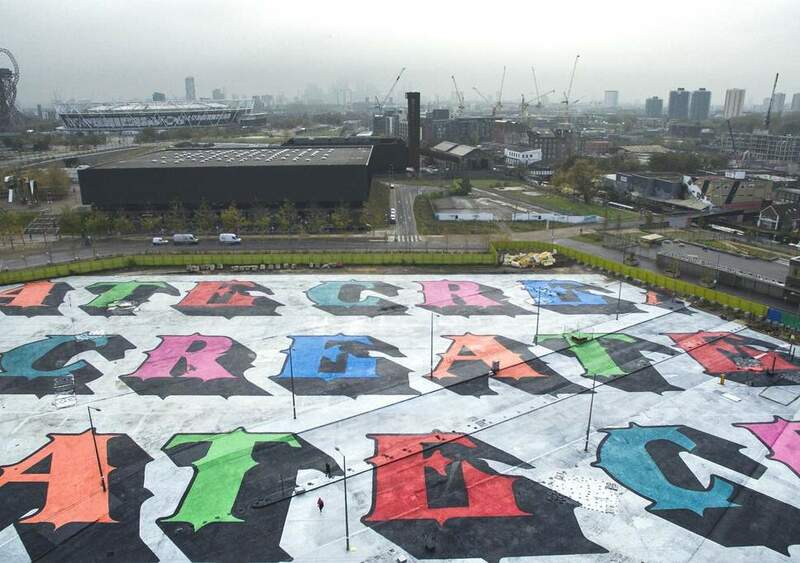 In cooperation with Zippo street-artist Ben Eine unveiled a huge 17,500 square meter mural. 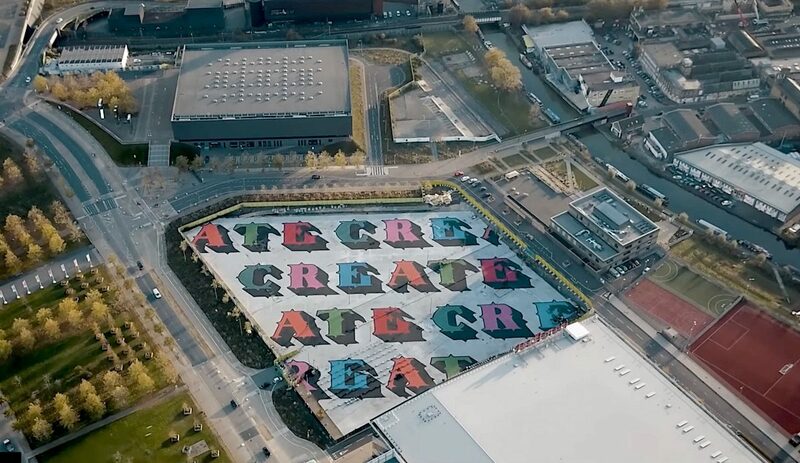 Depicting the word “CREATE” the artwork came to life on an unconventional canvas: an industrial ground space in East London. 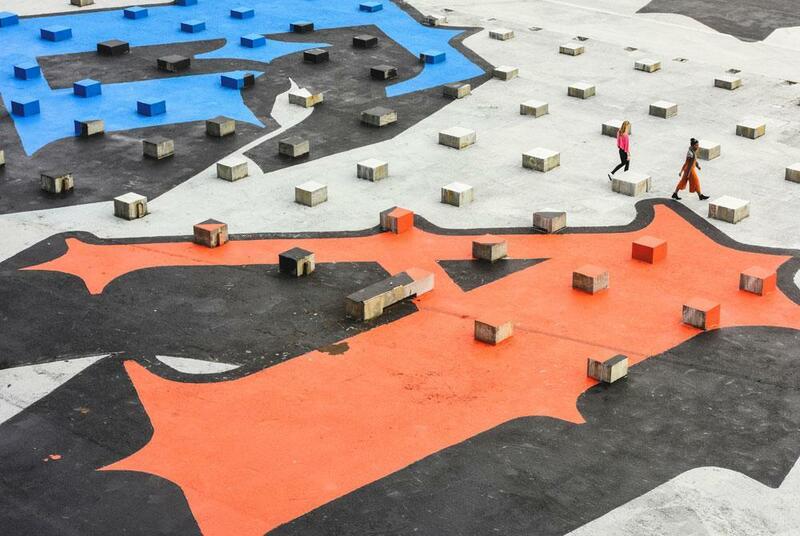 The artwork required about 2850 liters of Paint and a team of 30 supporting volunteers as well as six co-artists. 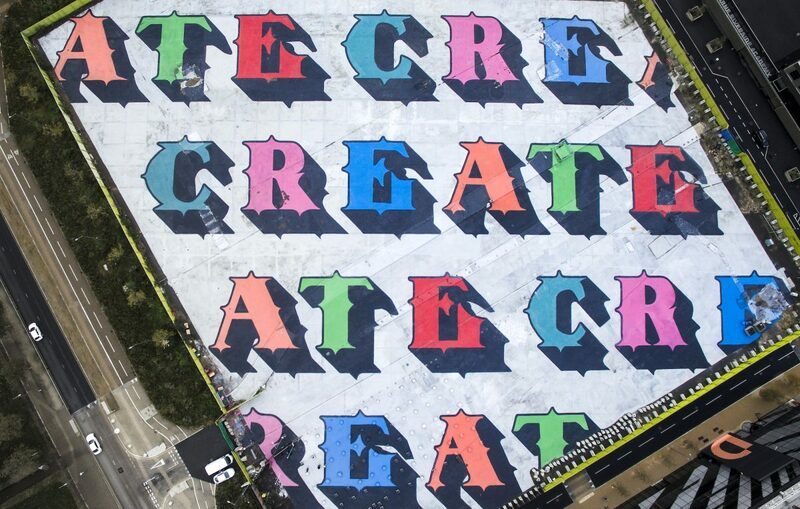 Because of the huge scale of the piece, Eine could only check his work’s progress with the use of drone footage. Zippo’s campaign also involved the production of a limited edition lighter with Eine’s „CREATE“-Logo, based on the mural to remember the imposing artwork-cooperation. Veröffentlicht in contemporary art, Murals, Projects, street art, Uncategorized, urban artGetaggt mit BenEine, london, Mural, streetart, ZippoBookmark the permalink.